Delicious, yearning romance with a twist for fans of Lauren Kate, Allie Condie, and Cassandra Clare from the author behind Forgotten and Revived. I glance at the three baby portraits. I feel a familiar prickling on the back of my neck. Because I know there's another picture somewhere - and the baby in that photo looks identical to the babies on the wall. Somewhere, there's a photo of the Original. Ella, Betsey and I look like sisters: triplets, you might think. But that's not what we are at all. We are clones in hiding. We split our lives and exist as one person in the outside world. And we've always been happy. But now I've fallen head-over-heels in love ...and that changes everything. Because, to let love in, I need to be allowed to be Me. A brilliant hook, a tantalizing romance story and a seriously gorgeous heartthrob, The Originals is a must-read book for young adults. Praise for Forgotten and Revived: 'I'm in love. With a book. And its name is Forgotten. I was completely blown away by it' - A Dream of Books, 'A mind-bending experience that I devoured in one sitting ...It still haunts me' - Jay Asher, author of Thirteen Reasons Why, 'Entertaining and suspenseful ...There is not a dull moment in this novel' - VOYA starred review of Revived. "'I'm in love. With a book. And its name is Forgotten. I was completely blown away by it.' (A Dream of Books) 'A mind-bending experience that I devoured in one sitting... 'It still haunts me.' (Jay Asher, author of Thirteen Reasons Why) 'Entertaining and suspenseful... There is not a dull moment in this novel.' (VOYA starred review of Revived.)" 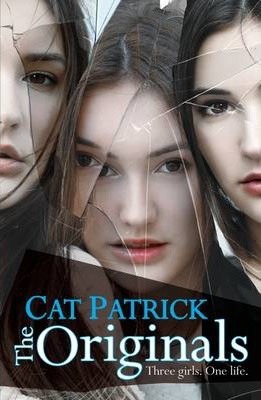 The Originals is Cat Patrick's third novel for young adults; her previous books were the highly acclaimed Forgotten and Revived. Cat lives near Seattle with her husband and twin daughters. When she's not writing, she's playing dress-up, using wind as her superpower, trying new restaurants or planning for a zombie apocalypse. Connect with Cat at www.catpatrick.com. on Facebook or on Twitter at @seecatwrite.